For about a month I planned a dinner to search for the best Korean Pancakes in Los Angeles. My attempts to bring a dining group to another Korean restaurant fell short when we arrived to find that the place was closed on Sunday. Instead, we headed to Kobawoo House for Sunday dinner. 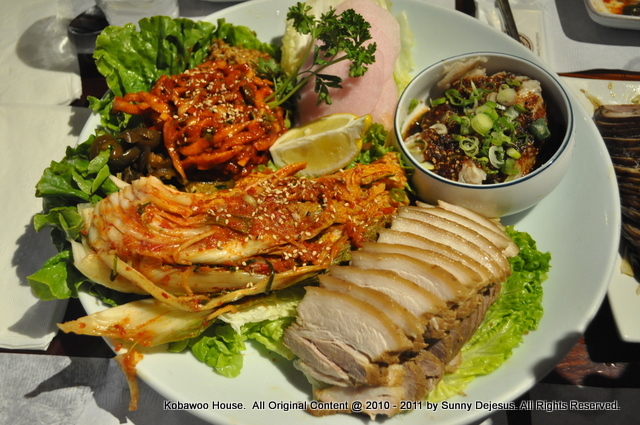 My dining group were amazed with the Korean delicacies at Kobawoo House. 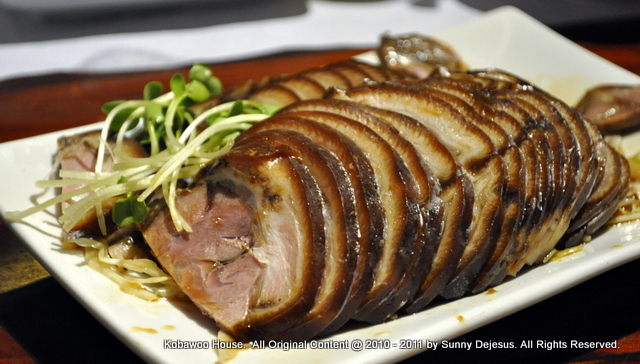 It wasn’t the first time I dined at Kobawoo, but I noticed the consistencies in quality of service and food. 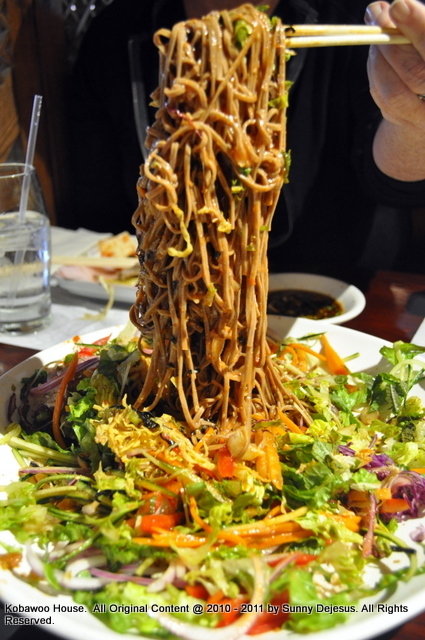 The last time I dined at Kobawoo House was a couple months ago with a few other friends. I remembered the food being the best quality and the service was just as good despite how busy it was for a weeknight. Yesterday’s dining experience brought back the same high quality service and food. At least I now know that Kobawoo House is very consistent, but what do you expect from a local favorite that’s been around since the 1980s. They have had years to perfect their trade. The Bossam was delicious. It’s supposed to be eaten like lettuce wrap with kimchi or spicy radish or Jalapeno. Out of all the restaurants that I’ve been to in Koreatown, Bossam is my all-time favorite non Korean BBQ dish and it’s made the best at Kobawoo House. I felt that I should be a little stingy and take more from the platter, but I soon realized that I shouldn’t be selfish. The least I could do is order another large platter if we had more room in our tummies. We also enjoyed the side dishes of fish and sliced pigs feet. It was hilarious to find that we were eating and enjoying pigs feet. The entire time we thought we were eating pig tongue. Then the server confirmed it was pigs feet. We were speechless. It was good, but to know what it was after eating it was another story. I actually enjoyed the puzzled moment and the dish. Hilarious. The spicy acorn noodles were just as tasty and gummy as I remember them. It made a difference to cut up the noodles, because it was a challenge to serve portions on everyone’s plate. 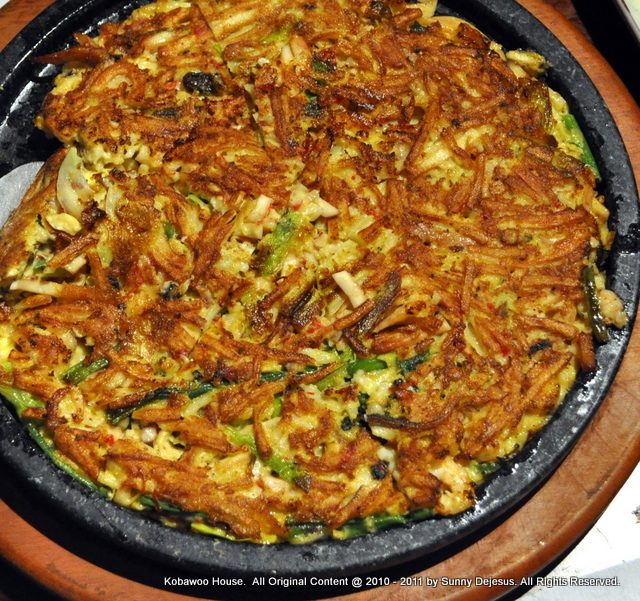 The Korean Seafood Pancake also known as Haemul Pajun (picture at the very top) was far more superior than the Mung Bean Pancake. It had a little more texture and depth. The seafood pieces were just as nice and tender too. I was underwhelmed with the Mung Bean Pancake and realized that I should have ordered the Potato Crab one instead. For about 8 people, an hour or two of sitting in a cramped table, and eating wonderful food, our bill came to about $14 per person. Not too shabby for a Sunday feast on Korean food. So, you ask if we found the best Korean Pancake? Well, we don’t know yet. As far as we know now, Kobawoo House is a worthy contender, because of their Seafood Pancake.